Which is more fun: trekking into unfamiliar territory or walking a more familiar path? 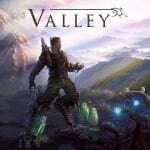 Valley released in 2016 for PC, Xbox One and PS4, and has now landed on the Nintendo Switch. On a platform that’s already rich with indie delights, can this blend of first-person platforming and environmental storytelling stand out in the crowd? After choosing Male or Female, a quick cutscene sets the stage: The player is an archaeologist, embarking on a canoe trip into the Canadian Rockies in order to follow up on a lead concerning something called the Lifeseed. Of course, the canoe runs aground, and after emerging from a cave system into unknown territory our protagonist soon realizes they are now in for much more than they originally bargained for. It just so happens that the Lifeseed artefact is a focal point of both local mythology and some top-secret government activities in the early World War II era. Part of these operations was the Pathfinder program, which sought to augment combat-unit effectiveness with a powered exoskeleton called the L.E.A.F. Suit. 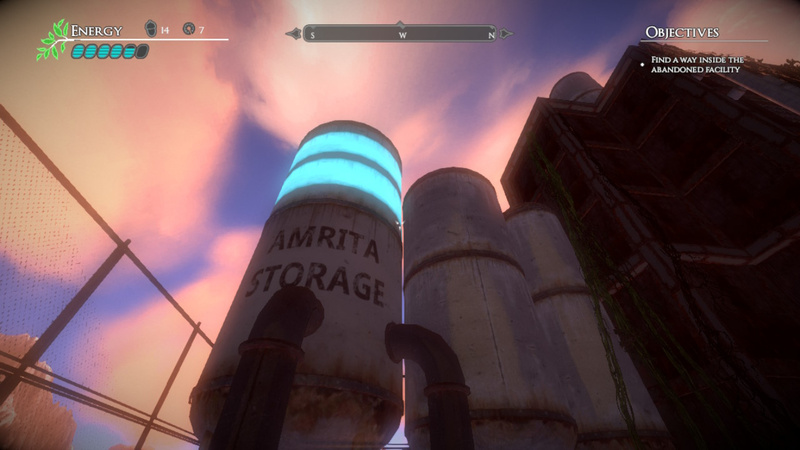 Within Valley’s opening minutes, the player happens to find a spare L.E.A.F. unit that had quite literally fallen off a truck. Movement in the L.E.A.F. suit is enhanced beyond normal human capability. Right away, the player can jump much higher than a normal person could, and can achieve incredible running speeds by gathering steam in downhill motion. 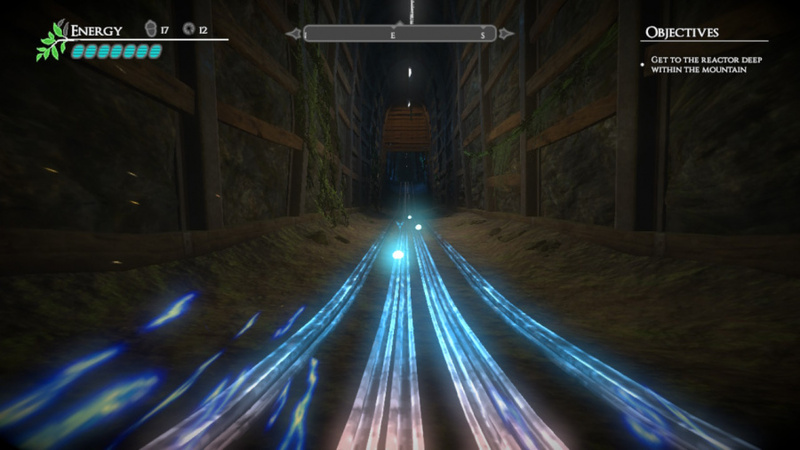 There are upgrades to be discovered regularly, which add functions like a double jump, a 'magnetic core' to enable walking on certain walls, and an even greater top speed while running on powered rails. If a game’s movement mechanics are a selling point for you, then Valley is a carnival barker hawking glitzy wares under the midway lights – when it’s running on all cylinders, running around and leaping through the world is an exhilarating thrill. The sense of first-person speed and reckless leaping on display isn’t a feature you’ll see in many other titles, especially on the Switch. It’s a feature that pairs nicely with a colourful vision of nature, with its rolling grassy plains and sheer cliffsides dotted by hulking construction equipment and the vestiges of a long-abandoned military-industrial installation. Blue Isle Studios has clearly laboured heartily to create a full, rich landscape. It is just a shame, then, that porting to the Switch has come at a performance cost; players should not expect more than 30fps consistently while docked, and a handheld playthrough will regularly encounter moments when Valley feels chuggy. 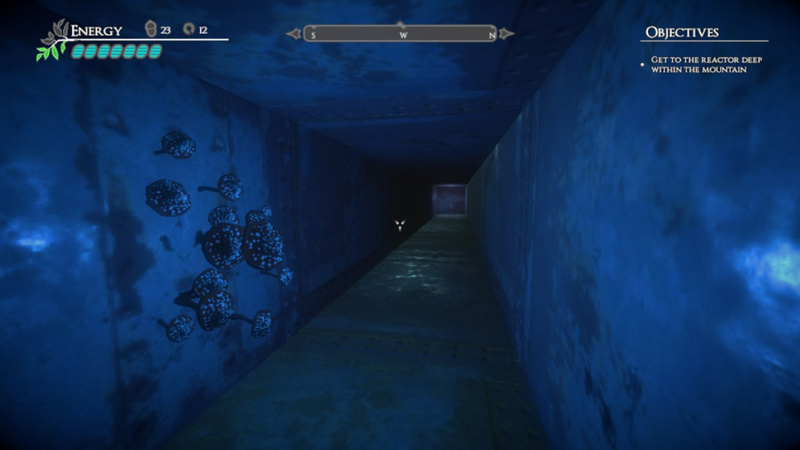 Still, a remote location with ancient ruins and strange creatures, not to mention decades-old laboratories, offers plenty of attractions to compel the player forward through the plot. 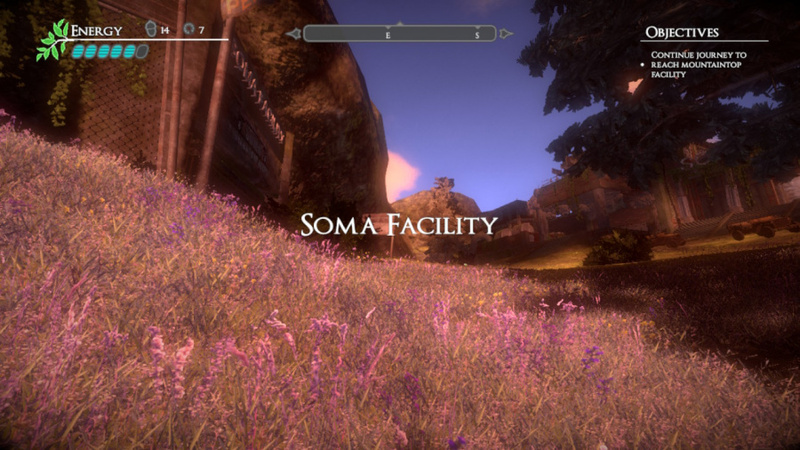 The narrative is told through the environment (including notes that can be found and read without stopping any gameplay) and the use of audio logs, particularly from two characters the player will get to know. 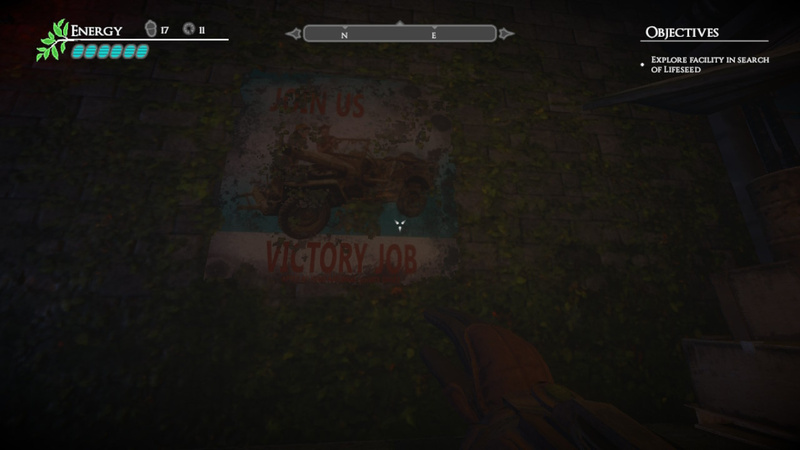 There is definitely a BioShock influence here, in the first-person unfolding of a story about an overly ambitious man who doomed those around him against a backdrop of strange forces the character will learn to wield. Oh, did we mention that the L.E.A.F. technology includes control over life and death? Right. The player can imbue dead things (mostly trees, the occasional deer) with life. Also, the player can kill living things (mostly trees, but then some other creatures) as well. Valley is light on combat, it’s definitely more of a story delivered through a game than a game that happens to have a story. There is some fighting here and there, sure, but the extent of your 'attack' complexity is using a button to shoot life-force projectiles at your foes. The added difficulty is mostly in the fact that shooting bolts of life energy depletes the player’s own energy. Refills are plentiful, but it is a factor you remain mindful of through every encounter. The most interesting mechanic might be how Valley handles player death. At any given time, an on-screen branch icon gives a readout, via leaves either blackened or coloured green, of the total 'life' in a given area. If the player dies, they experience 'quantum immortality' and respawn nearby, but at the cost of killing surrounding life. The game’s story plays with this trade-off between life and energy, and the implications this power has for curious researchers looking to outdo Oppenheimer’s work with the Manhattan Project. Although the idea of having to restore life to the landscape in order to preserve your own life (lives?) is intriguing, it doesn’t feel fleshed out to its full potential, similar to how double-jumping is handled through a comically thin-veiled attempt at an in-story explanation. As long as you are responsible with the environment, and utilize the generators that gradual reproduce energy (health, essentially), the game is not exactly Dark Souls in its difficulty. Valley has a story to tell, and gives the player some fun movement and pretty visuals through which to tell it. Like a rollercoaster with an in-flight movie, Valley isn’t a game with very intense combat or especially intricate puzzles (our biggest obstacle was taking a couple of minutes to figure out we had to fall from a height in order to break through a certain ground section), but if someone is looking for a 4-to-6 hour tale of military intrigue and mysterious ancient powers, this might do. Valley might be more like a book than a video game; you pick it up, you experience its story to your satisfaction, you put it down. Given the low impact of the bulk of its gameplay, it’s almost puzzling that they bothered to include a few moderately challenging sections at all amid what is mostly just a pleasant jaunt through an appealing world. As long as a would-be player understands that this is not your typical FPS and it’s a somewhat shorter experience as well, there is something cool and refreshing to be found here. In a games market often trying to operate as either an endless buffet or a sticky-sweet dessert parlour, Valley is a satisfying meal that doesn't outstay its welcome. On sale now, might grab it. I keep seeing this game and wondering about how good it may be. It looked nice from the screens but it sounds like it turned out pretty good. I need to watch some gameplay to decide but I may bite. Spot on review. Bought it day one on sale and have been really enjoying it. It creates its own mood that you crave getting back to, something sadly missing from a lot of bigger budget experiences. Well worth the price IMO and a welcome addition to my library of indie gems. Kinda like Myst meets Zelda, albeit with pretty narrow and limited gameplay. But what you can do is gorgeously rendered and a lot of fun. Ugh. I had enough of a chuggy experience with Infernal. I don't know if I could enjoy this one. Sounds like it could be good. I am not remotely lacking for story games right now, playing Steins Gate Elite and have Phoenix Wright Ace Attorney waiting in the wings - not to mention several Final Fantasy titles - but this might do if I want something a little different. Nice review! It sounds very intriguing and unique. I'm going to want to try this at some point! Also, thanks for mentioning the frame rate doesn't go over 30. I really appreciate info like that in a review. @Yodalovesu yeah, I'll probably do that in the next couple days. Just finished FF Maxima in 40+ hours, loving Trials Rising, jumped into Starlink (on sale) and now this. And Yoshi is on his way. Oh Backlog! Jacksepticeye played this games on youtube. You can get it on your computer.